Survivors and victims of herdsmen attacks in Logo and Ukum council areas in Benue State have been recounting how 81 persons were killed in the last two weeks. The traditional ruler of Logo, Chief Jimmy Meeme, who spoke to Channels Television on the invasion of rural communities said 70 persons were killed in six out of the 10 council wards in his domain. He blamed the sustained attacks on his people by the herdsmen on territorial occupation campaign. 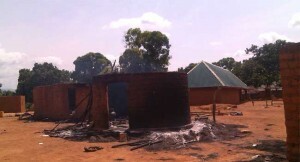 Eyewitnesses also claim that Turan, Mbagber, Yonov and Tombo communities in Logo were attacked on the same day while Varser in Ukum Local Government came under siege, leaving 53 persons dead. A community leader, Terkura Suswam, also made a case for the Internally Displaced Persons (IDPs). In Anyiin community, the matron at a local clinic, Kpadoo Asema, and the IDPs camp manager, John Imenger, spoke on the treatment and how the displaced persons were fairing in the face of lack and despair. One of the IDPs in Anyiin camp, Aseer Yuam, grieved over the gruesome murder of her son by herdsmen in Tombo council ward while attempting to fetch food for his family from the farm. The State Coordinator of the Miyetti Allah Cattle Breeders Association of Nigeria, Garus Gololo, promised to track down those responsible for the attacks in Logo and Ukum. The Benue State Governor, Samuel Ortom, lamented the inability of the security agencies to arrest the perpetrators of the coordinated attacks. In his reaction, the spokesman of the Benue State Police Command, ASP Moses Yamu, dismissed allegations of neglect of duty by security personnel. He insisted that only 22 deaths were recorded in Logo and Ukum local government areas.